Asiad Steels is one of the popular suppliers and manufacturer of Titanium Gr.5 Nuts, which may be heat treated to increase its strength. Titanium Gr.5 Hex Nuts can be used in welded construction at service temperatures of up to 600° F. Titanium Gr.5 Heavy Hex Nuts is alloyed titanium and is considered to be an alpha-beta alloy. 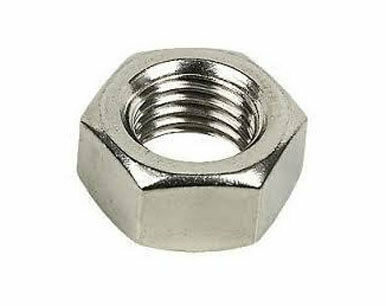 Since it is the most commonly used alloy – over 70% of all alloy grades melted are a sub-grade of Titanium Gr.5 Lock Nuts, the uses span many aerospace airframe and engine component uses and also major non-aerospace applications in the marine, offshore and power generation industries in particular. Aerospace applications account for 80% of that usage. 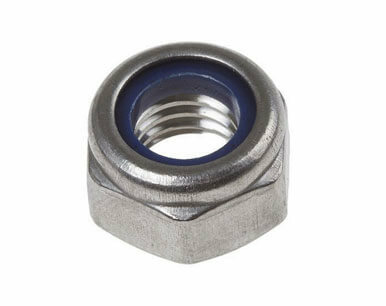 Titanium Gr.5 Nylon Insert Nuts is heat treatable and resistance to fatigue where crack propagation is excellent. 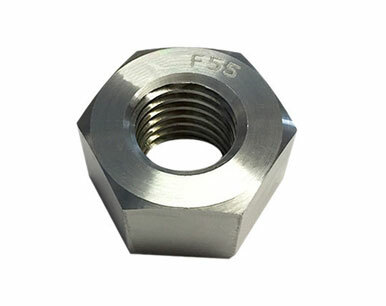 Grade 5 Titanium Nuts is also labeled 6AL-4V, and at Titanium Processing Centre. We are a fully stocked distributor and can ship the titanium you need, when you need it. Grade 5 Titanium Hex Nuts is a lot stronger than commercially pure titanium, but still has the same stiffness and most of the same thermal properties (it is much lower in Grade 5 than other alloys). Grade 5 Titanium Heavy Hex Nuts offers its high strength at a light weight, useful formability and high corrosion resistance. Since it is the most commonly used alloy -over 50 per cent of all alloy grades melted are a sub-grade of Titanium Gr.5 Self Locking Nuts, its applications span many turbine and airframes and also several industrial applications. Buy Titanium Grade 5 Nutsat reasonable rates from us. We are Exporter of Titanium Gr 5 Nuts in Worldwide Such as India, Mexico, Singapore, South Africa, Bolivia, Iraq, Bulgaria, Mongolia, Chile, Ireland, Libya, Germany, Lebanon, Estonia, Azerbaijan, Algeria, Vietnam, Ghana, Israel, Austria, Netherlands, Kazakhstan, Czech Republic, Zimbabwe, Russia, Poland, Hong Kong, Kenya, Slovakia, Jordan, Croatia, Hungary, Sri Lanka, Serbia, Canada, Norway, Ecuador, Saudi Arabia, Ukraine, Chile, Bhutan, Sweden, United Kingdom, Morocco, Greece, Lithuania, France, Angola, Nigeria, Bahrain, Romania, Belarus, Trinidad & Tobago,Tunisia, Costa Rica, Taiwan, Malaysia, Iran, Nigeria, New Zealand, United Arab Emirates, Italy, Turkey, Gambia, Argentina, United States, India, Gabon, Philippines, Bangladesh, Qatar, Colombia, Egypt, Finland, Poland, Switzerland, Indonesia, Denmark, Kuwait, Mexico, Namibia, Tibet, Oman, Japan, Macau, Portugal, Peru, Yemen, Spain, South Korea, Pakistan, Afghanistan, Australia, Puerto Rico, Iran, Thailand, Venezuela, Brazil, Nepal, Belgium, China. We are Suppliers of Titanium Alloy Gr 5 Nut in India Such as Mumbai, Moscow, Chiyoda, Nashik, Navi Mumbai, Santiago, Lahore, Edmonton, Vadodara, Abu Dhabi, Secunderabad, Indore, Hanoi, Seoul, Dubai, Jakarta, Geoje-si, Caracas, Cairo, Doha, Mumbai, Riyadh, Brisbane, Hyderabad, La Victoria, Bangkok, Pune, Haryana, Hong Kong, New York, Colombo, Ulsan, Singapore, Rajkot, Rio de Janeiro, Ahvaz, Thane, Courbevoie, Ranchi, Melbourne, Sydney, Perth, Milan, Al Jubail, Dammam, Muscat, Chandigarh, Nagpur, Bogota, Jaipur, Dallas, Aberdeen, Noida, Chennai, Kuwait City, Ankara, Visakhapatnam, Bengaluru, Howrah, Ahmedabad, Thiruvananthapuram, Kanpur, Sharjah, Mexico City, Bhopal, Toronto, Atyrau, Pimpri-Chinchwad, Granada, Surat, Calgary, Ho Chi Minh City, Montreal, Busan, Faridabad, Karachi, Petaling Jaya, Coimbatore, Algiers, Ernakulam, Kolkata, Houston, Lagos, Madrid, Vung Tau, Port-of-Spain, Istanbul, Jeddah, Kuala Lumpur, New Delhi, Jamshedpur, Baroda, Al Khobar, Manama, Ludhiana, Gurgaon, London, Los Angeles, Gimhae-si, Tehran.